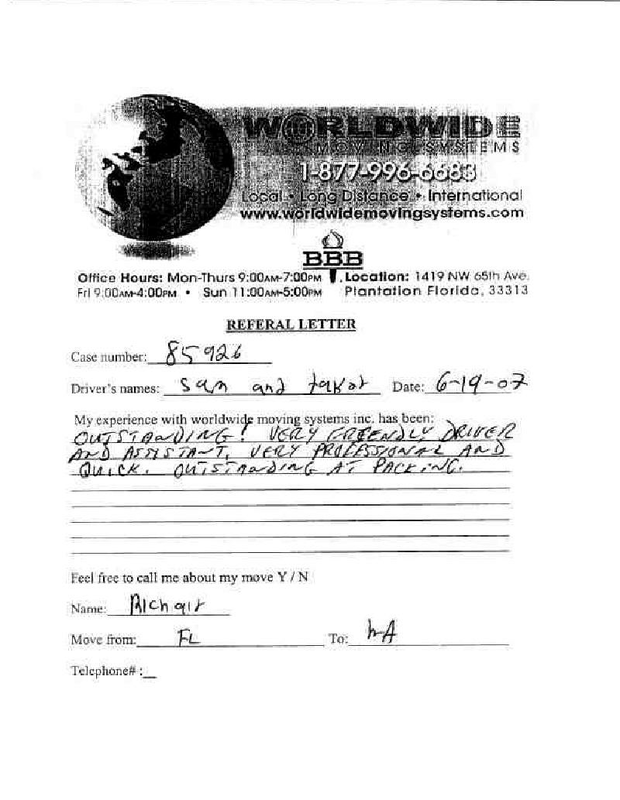 We hope to assist you in selecting a qualified moving company in Homestead by providing access to some of our many Moving Company Reviews written by satisfied customers all over Florida. 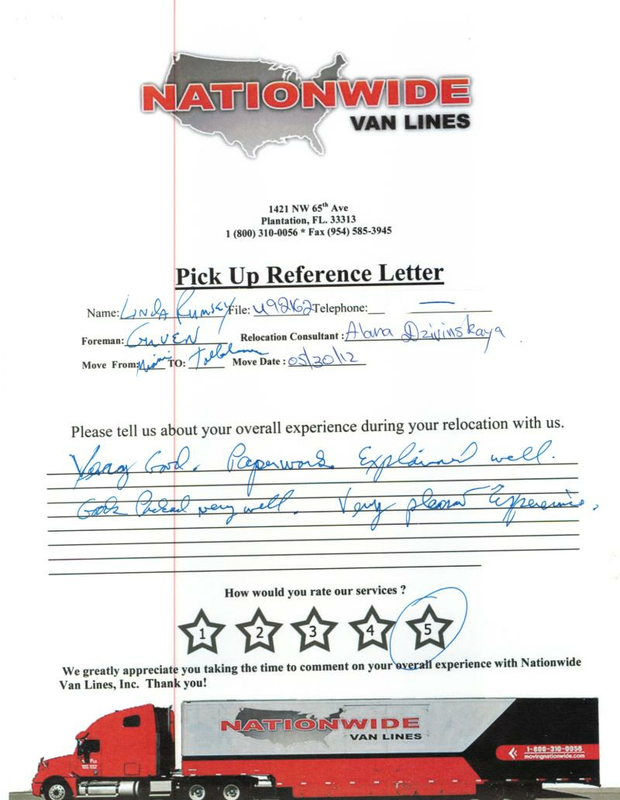 Nationwide Van Lines gives you the best moving services in the East Coast. Our Top Moving Companies Reviews will prove it! We understand how difficult it can be to select the proper moving company and look forward to providing you the same quality moving services as demonstrated in our mover reviews. Pickup Review From: Richard F.